Thank you all for your wonderful comments on yesterday's daily.Totally appreciate it.Have a great week ahead ! Wonderful title and a great image. It would have still been nice without the upright bird, but it's this that has made it special. Beautifully processed and presented, as always. amazing warmth. 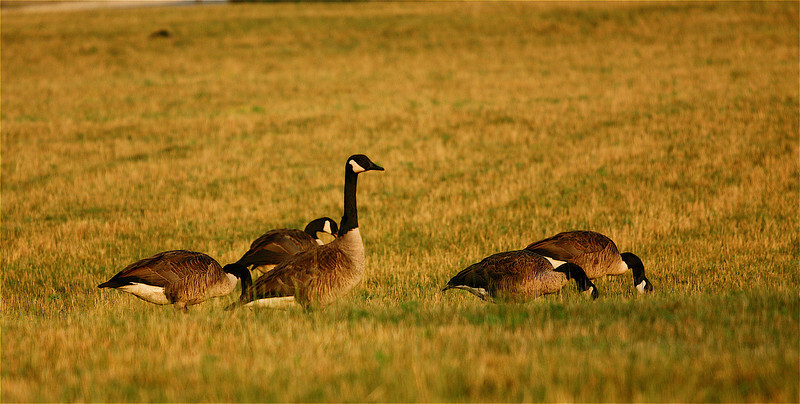 I think geese are so majestic and that really shows through in this photo. Nice sharp image, great exposure and detail. Wonderful golden color to the field! Wonderful shot. It seems he is the lookout man!